Introducing an innovative foundation that delivers colour in an ultra-fluid, elastic gel- serum formula. With a virtually weightless feel, this formula is extraordinarily comfortable, lasting for hours. 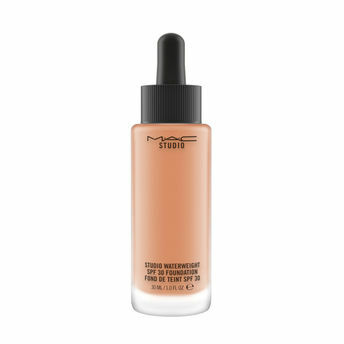 With stay-true colour and sheer medium buildable coverage, it softly blurs imperfections such as pores and fine lines, while also controlling oil. The addition of Moisture-Fusion Complex provides immediate and all-day hydration, leaving skin feeling quenched and silky to the touch. The unique dropper provides you with a drop of perfection. - Provides instant and all day hydration. - Offers broad spectrum UVA/UVB SPF 35. - Provides stay true color and all day wear. Explore the entire range of Foundation available on Nykaa. Shop more M.A.C products here.You can browse through the complete world of M.A.C Foundation .